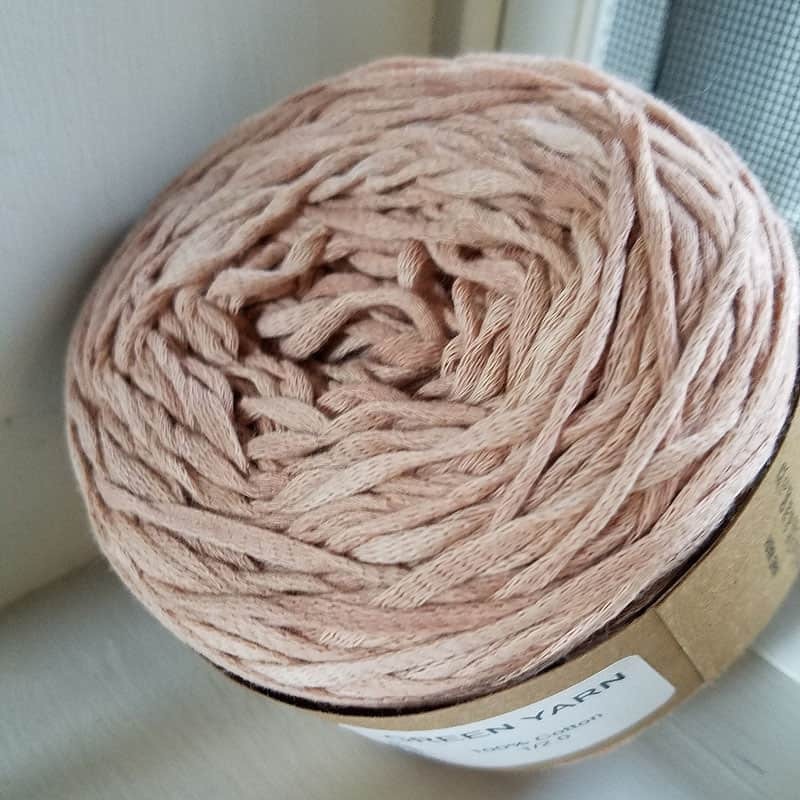 Another 100% organic cotton yarn. Our eco-line products help change the world by preserving our environment. Knitting couldn’t be better, have a premium quality yarn and help keeping the world green with our products. Green Yarn is available in 2 colors: white and peach. I first found them on Etsy, but they have their own website too. It’s here: www.sierrayarn.com ! Swatched in Garter and Stockinette, one skein provided three generous swatches on US 9-7 needles. If I’d not been traveling when swatching, I probably would have tried a US 10 as well as the US 9 provided a fabric of the best thickness to airiness ratio. The larger needle was my favorite of the swatches for the density and stretch. Washing experiment showed most change on the US 7 Stockinette, nearly 15-19% (row 15%/ st 19%). The US 8 & 9 changed 10% or less. The ribbon construction lends to great stitch definition – texture inside of texture! 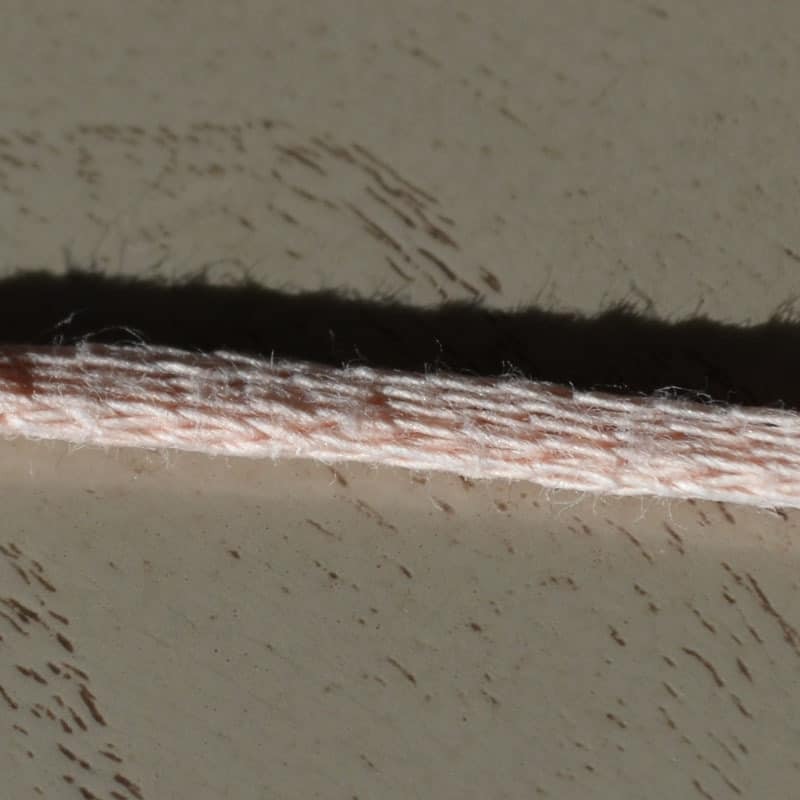 – Density – there is a great depth and squishiness to this yarn once knit that doesn’t show up in a flat photo. This is especially true with the Garter. – Twisting! Note: you all know I pre-wash my yarn and it may be to blame here. When I viewed the ball it did not appear to have the major twists in it that occurred after washing the yarn prior to knitting with it. 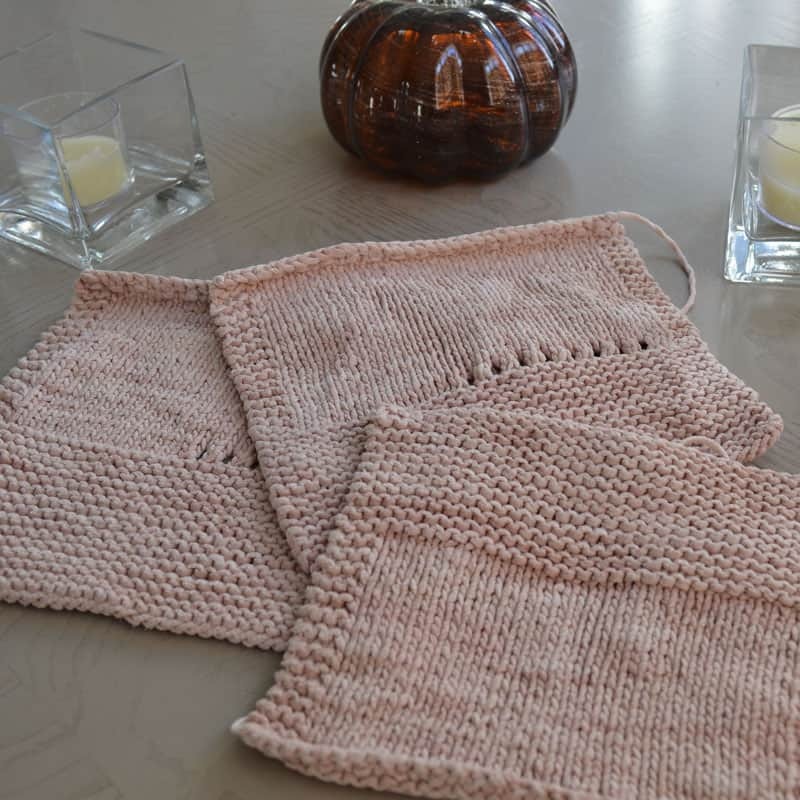 I intentionally left some of the twisting in when swatching and it did affect the overall stitch appearance so you’ll want to be careful about untwisting for flawless looking stitches. 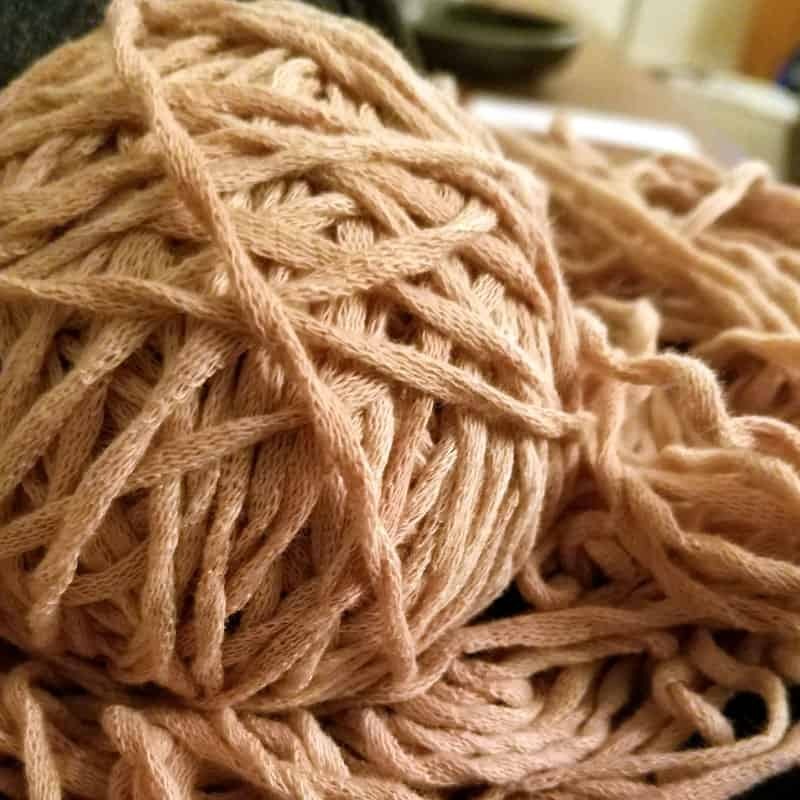 – Coarsens with washing It looked incredibly soft in the ball from the yarn company and if you knit directly from the ball, I’m sure it would feel as soft as it looks. However, this wasn’t the case after washing. It does soften as it gets handled, but not to the same degree as pre-washing. – Socially responsible, family run company, with a goal of planting 1,000 trees (as a start) from their eco line sales. Check out their rocking eco principles on their about page here! 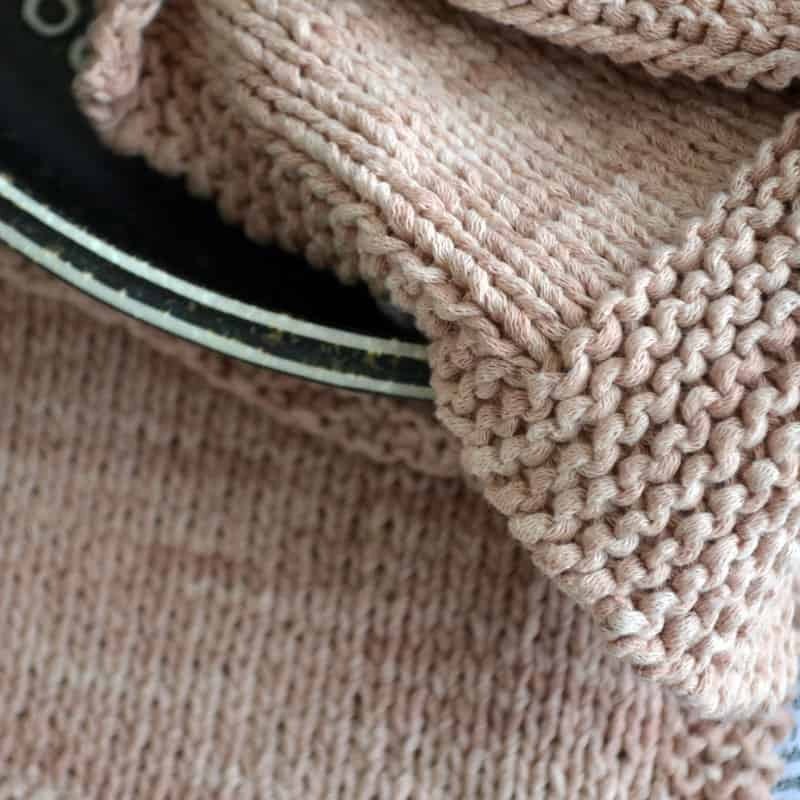 8 out of 10… with a few changes on ball band presentation, I’d bump this up a bit – it was awkward having to check out Etsy to find out the yarn details that would typically be on the ball band… like “organic”. 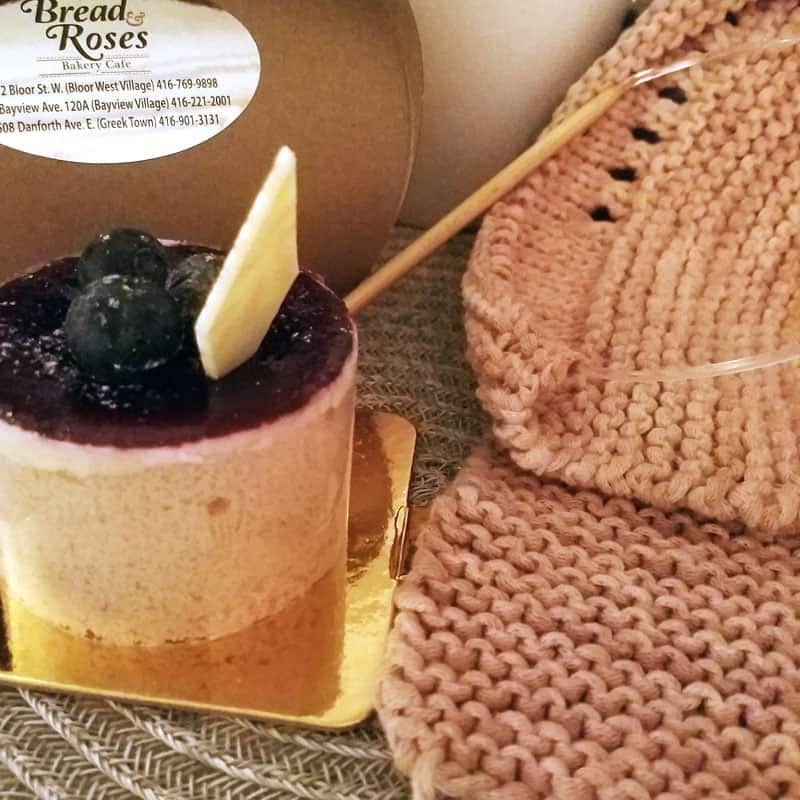 I loved the story behind the yarn and look forward to trying others in their organic cotton line like their hand spun, hand dyed, organic cotton “Cottone”!